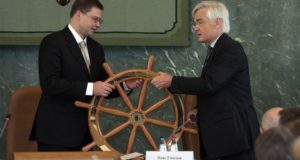 In the late 1990s, Latvia was still finding its way in the world of modern market economies. At the same time, more and more foreign companies were undertaking major direct investment in Latvia and facing difficulties typical for economies in transition. 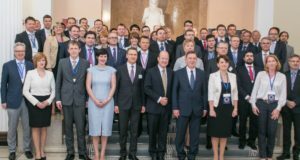 Investors started to look into the option of starting a regular forum for foreign investors and the government, as a result Foreign Investors‘ Council in Latvia (FICIL) was founded. 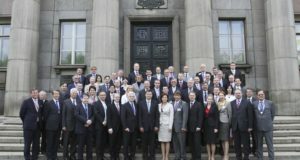 FICIL held the first two High Council meetings with the Latvian Governement in 1999 and has held at least one meeting every year since then. Much has been accomplished in the first decade but FICIL’s mission continues, especially as all economies are looking for new potential for growth. In 2018 Latvia’s economy reached its highest growth rate of the previous six years (+4.5%). This impressive growth was reflected by the investment level (+16%). However, the rapid increase of investment levels is a conditional achievement, as in 2016, measured against the GDP, this was the lowest level in the last 18 years. By choosing the key theme “Bulding Trust”, FICIL highly rated the government’s initiated reform process and encouraged closer cooperation with external partners. FICIL also recommended more decisive action in resolving critical matters – especially in strengthening the state’s reputation. Trust as an important aspect for the success of public policies and contributes to sustainable economic growth and implementation of an effective reform is potentially the most favourable method to create a stable foundation for the development of a sustainable economy. The sub-themes of High Council 2018 were related to labour availability and quality, higher education, digital performance and competitiveness, rule of law and economic crimes, energy and waste management. The economic growth rate in Latvia has dropt to 2% in 2016, while it was 2.7% in 2015. Investment level dropped by 11.7% in 2016 and accounted for 18.3% of the GDP. This was the lowest level within the last 18 years. In 2017, the government has initiated some serious reforms, but it’s not enough to take economy fully back on track. In order to address reforms, FICIL has chosen topic ‘Do!’ as a key team for 21st High Council. By choosing this topic FICIL wanted to encourage government to be brave and keep delivering on reforms. In 2017 FICIL presented position papers on Macroeconomic Policy Issues, Combating Economic Crime, Higher Education Policy, Tax Policy and Tax Administration, Transport and Logistics Issues, Waste Management and Energy Sector Policy. Five years ago, Latvia was exhibiting rapid economic recovery. However, the pace of economic growth has declined every subsequent year, i.e. from 6.2% in 2011 to 2.7% last year. In recent years domestic consumption has mainly dominated the growth in economic activity, with favourable conditions for its increase developing. However, this kind of growth model is unsustainable. At the same time, export is continuing struggling, which is why its growth is being hindered, but investment activity is inexcusably low for many reasons. 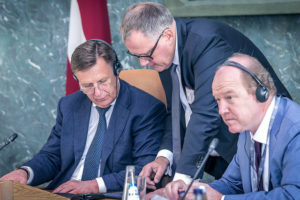 FICIL believes that at this particular moment it is the right time for Latvia to get the focus back on the internal reform agenda and take decisive steps necessary to achieve growth levels that would ensure Latvian economy’s convergence with the OECD economies in a foreseeable future. This idea is embodied in this years’ High Council theme “Return to Reform Agenda”. Our key focus in 2014 – to renew leadership needed to reverse negative trend in competitiveness. According to our analysis, structural reforms are still necessary in energy, infrastructure, construction, governance of state owned enterprises and education. 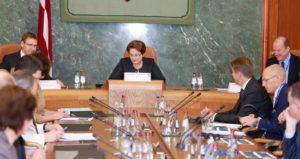 Therefore for the 18th High Council Meeting of the Foreign Investor’s Council in Latvia and the Government we presented our positions and recommendations on: Macroeconomics and Tax Policy; Investment Security and Protection; Health Care System Development; Intellectual Poperty Promotion and Protection. 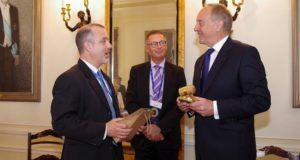 One of the key questions for FICIL was how to leverage the recent years’ economic development in order to stay “ahead of the curve” in regional and EU-wide economic competition. According to FICIL key drivers of growth should be exports and continued focus on structural reforms. Therefore our key issues for 2013 were: Macroeconomic and Tax Policy; Energy Policy, Efficiency of the Court System, Competition in Waste Management market, Public Procurement and Transport Sector Evaluation Strategies. 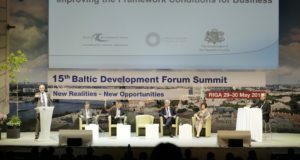 As Latvia was exiting the crisis, we thought several issues needed to be focussed on, namely, grey economy and tax evasion, territorial planning and construction process, education reform and dual-system vocational education. Keeping in mind focus on Latvia’s future, we presented to the Government Position Papers on Macroeconomics, Tax and tax administration issues, Court system efficiency, Insolvency Law, Competitiveness of state owned enterprises and renewable energy challenges. 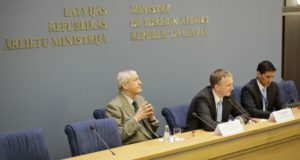 In 2011 FICIL’s continued focus was on latest developments in the Latvian economy – the macroeconomic situation and improvement to tax administration, public procurement procedures, financial market development, as well as transport and logistics as an important sector for the improvement of Latvia’s competitiveness. In 2010 FICIL developed positions on five issues that provided an overview of the range of considerations, including suggestions, for possible remedies that would improve the business environment and investment climate in Latvia. These were: Position Paper on the Macroeconomic situation, on Tax and Tax Administration, Spatial Planning and Construction Process, Higher Education system in Latvia and Entrepreneurship facilitation. In the year of our anniversary we looked back at ten years of change for both Latvia and FICIL. Our main drive within FICIL continues to be enhancing the overall business climate, create a level playing field, a competitive and attractive environment for investment and employment. FICIL © 2017. All rights reserved.